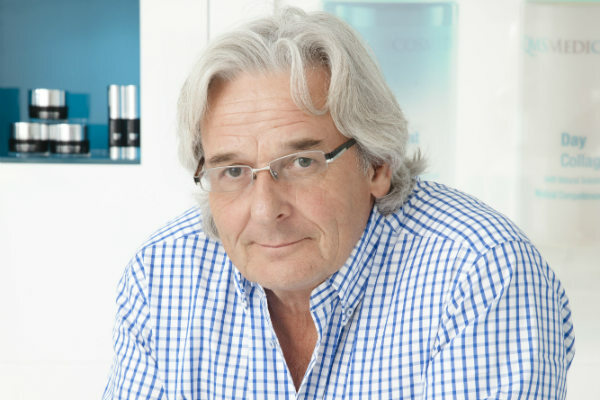 The 2018 World Spa Awards Spa Pioneer was presented to Dr. Erich Schulte, Founder, QMS Medicosmetics for his outstanding contribution to the spa and wellness industry, and taking the science of skincare to an entirely new level. Dr. Erich Schulte’s interest in skin began when he was a leading trauma surgeon specialising in facial reconstruction. At the time, he realised that surgery could repair bones but that the skin would remain damaged and scarred. This was the catalyst that led him to research and develop a ground-breaking collagen replacement therapy that is regarded today as one of the most iconic breakthroughs in skincare. He has combined his formidable medical insight and understanding of the skin with a passion for advancing the science of skincare. Through his work, he has revolutionised how we can treat and care for skin every day. His innovations have helped change the face of the skincare industry, his research leaves a legacy that continues to elevate and improve the achievable benefits. His brand, QMS Medicosmetics Skincare & Spa Collection, has gained global acclaim for its excellence and has partnered with some of the most well-known spas in the world.